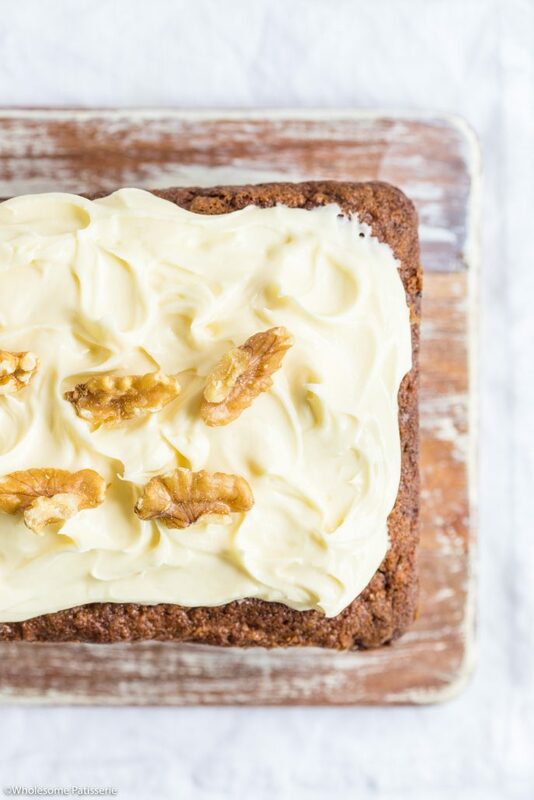 The classic Carrot Cake. 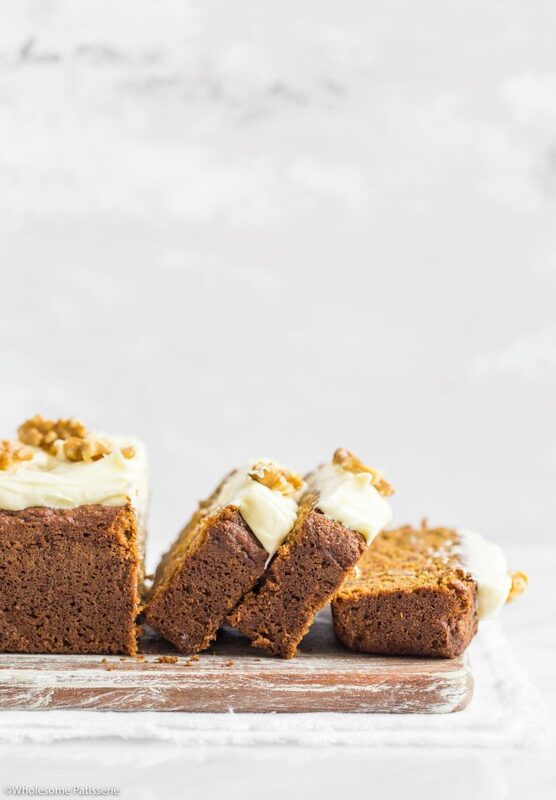 Today I’m sharing with you this humble and absolutely yummy homemade Carrot Cake Loaf thats spread with a scrumptious Cream Cheese Frosting. YUM!! 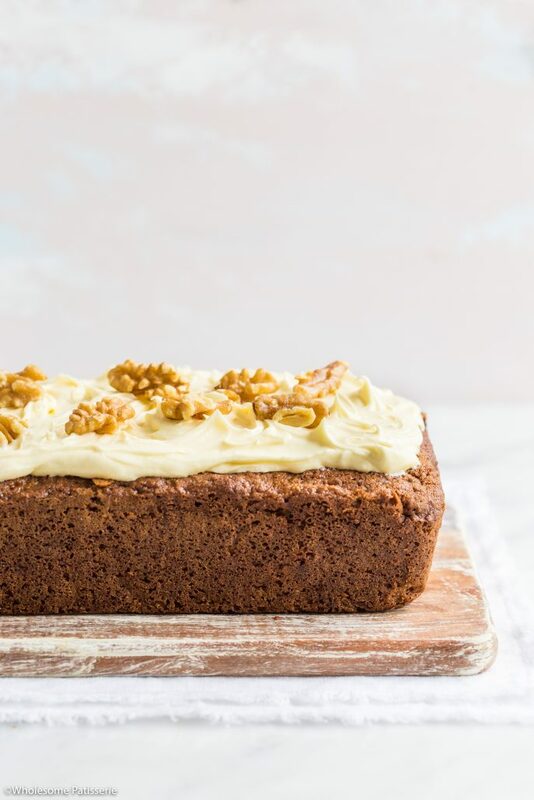 Offering you all the wonderful traditional flavours of carrot cake, I’m sure you cannot wait to get you hands on your own slice. The texture is in-between a cake and a loaf, hence the name :). 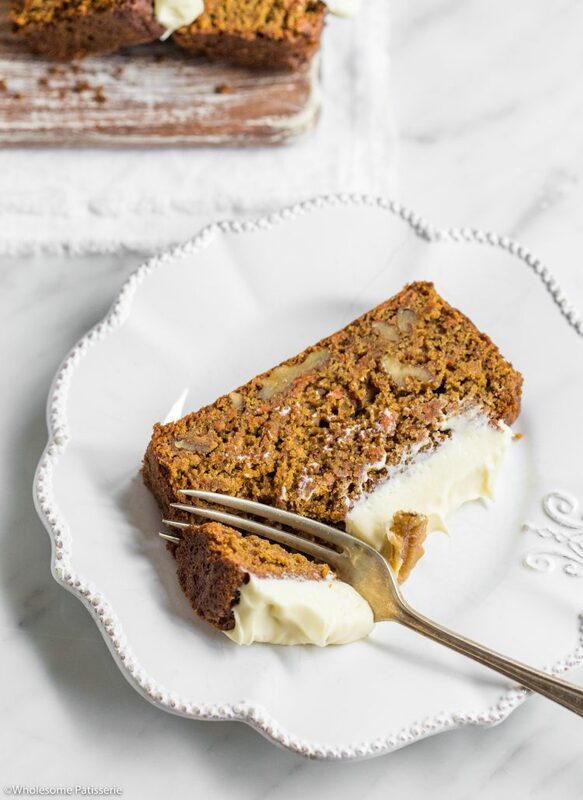 Paired with this velvety smooth and melt-in-your-mouth creamy cheese frosting (omg) it’s the perfect addition to this gluten free carrot cake loaf. 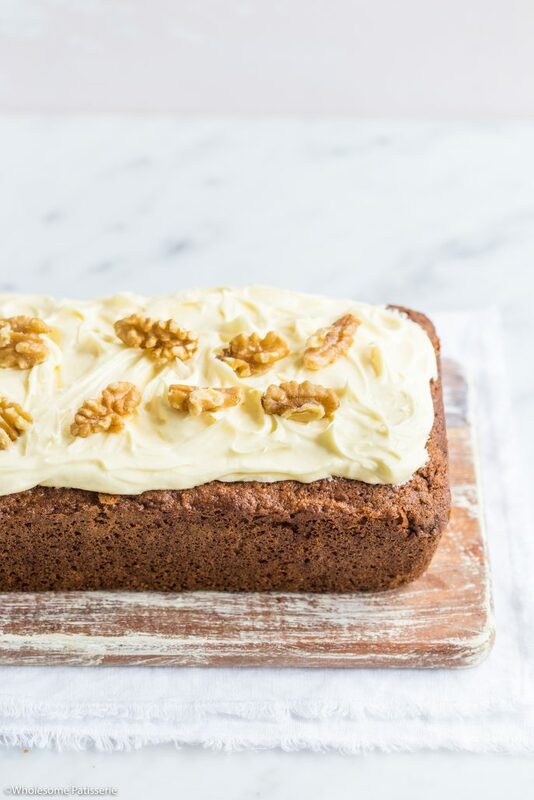 With an extra sprinkling of chopped walnuts, this is one showstopper of a cake! 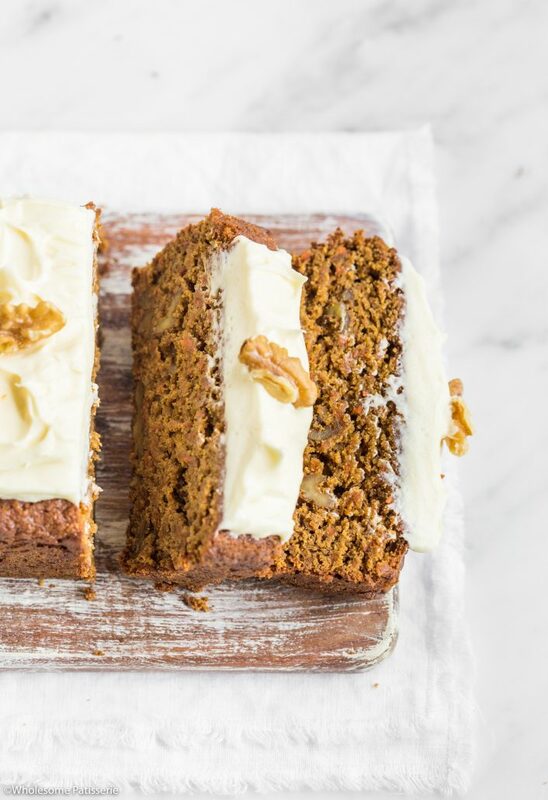 This carrot cake loaf is also gluten free so no one is going to miss out on this beauty! If you don’t mind the gluten or you just don’t have gluten free flour on hand (because you aren’t gluten free) you’re welcome to go ahead and use your regular go-to regular all purpose flour. If you’re going to use regular wheat flour, please ensure to not over-beat the batter, we don’t want tough/dense cake do we? Nope!! I cannot wait for you guys to try this cake, my family has been obsessing over it this past weekend and it’s nearly all gone, I only got 1 slice to myself!! That’s how popular it is! Also wonderful to bake and share with those at a picnic, party or gathering, who can resist cream cheese frosting??!! Preheat oven to 180ºC (356ºF). Line a 9” x 5” loaf pan with parchment paper and set aside. In a mixing bowl, combine flour, baking powder, cinnamon, allspice, nutmeg, ginger and salt, mix well and set aside. In a large mixing bowl or the bowl of a stand mixer, using an electric beater/whisk attachment, cream butter and sugar together until well combined and fluffy. Add eggs and beat until well combined and light. Add grated carrots and beat until just combined. Add flour mixture half at a time, beating into the wet mixture until just combined, beat through remaining flour until a soft batter is formed. Gently fold through chopped walnuts. Bake for 40-45 minutes or until a skewer inserted into the middle comes out clean. The top should spring back when slightly pressed. Let cake cool in pan for 15 minutes. Remove cake from pan by turning it over onto a wire cooling rack. Tap on the pan slightly to help the cake come out. Let cake cool completely on the wire rack. In a large mixing bowl or the bowl of a stand mixer, using an electric beater/whisk attachment, add softened cream cheese, butter and lemon juice. Beat on high until just combined and softened. Add icing sugar and beat for 1 minute until light and creamy, scraping down the sides when needed. Sprinkle frosting with extra chopped walnuts. Store in an airtight container, refrigerated, for 4-5 days. Can I sub the butter with olive oil or any other oil? If yes then which one and what will be it’s measure?? It looks very tasty and I would like to bake it. But….how much is one cup in gramm and what is “all spice”? Oh my!! This looks absolutely delicious!! !